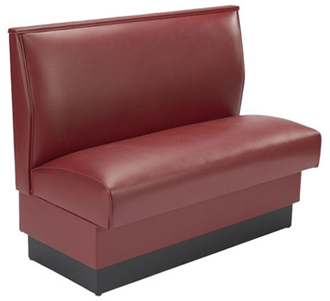 Our quick-ship single restaurant booths are available in black or wine vinyl. Designed to withstand years of use in a commercial environment our dining booths are low-maintenance, durable & clean up easily. 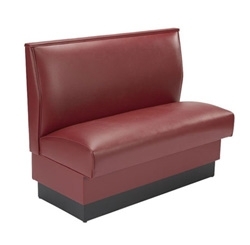 48" L x 36 / 42 " H x 23" D ; Seat Height: 18"